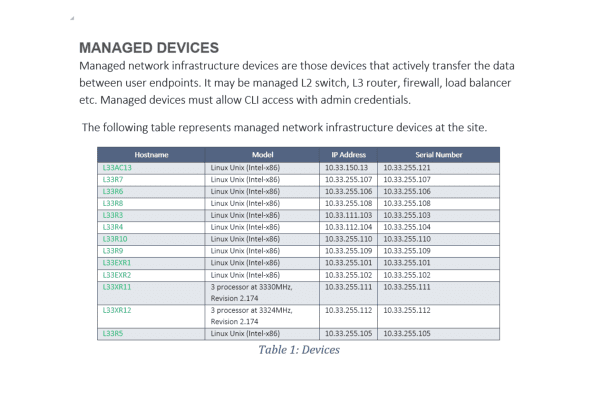 IP Fabric's solution automates network infrastructure documentation process for you so that your team doesn't have to spend their time answer the same repetitive questions over and over again. Documentation is a critical part of any project or technical environment, but it can also an incredibly time-consuming, unending, and often annoying undertaking. 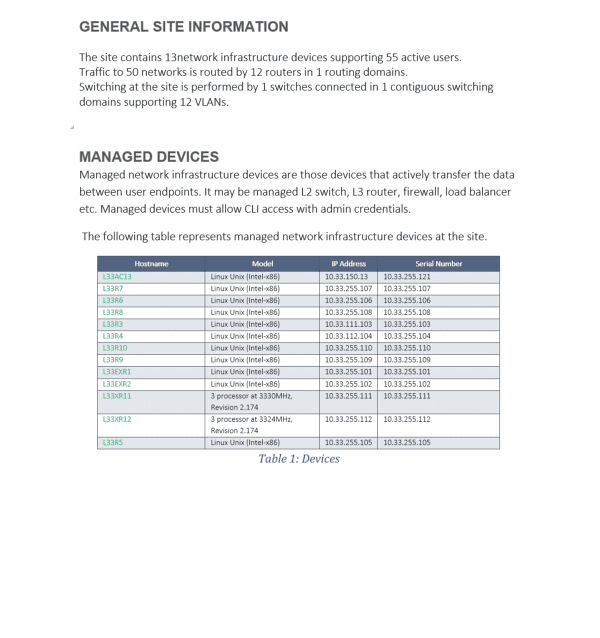 With IP Fabric, you can schedule the network documentation creation process, freeing up your engineers and allowing them to focus on more important tasks, like network development. 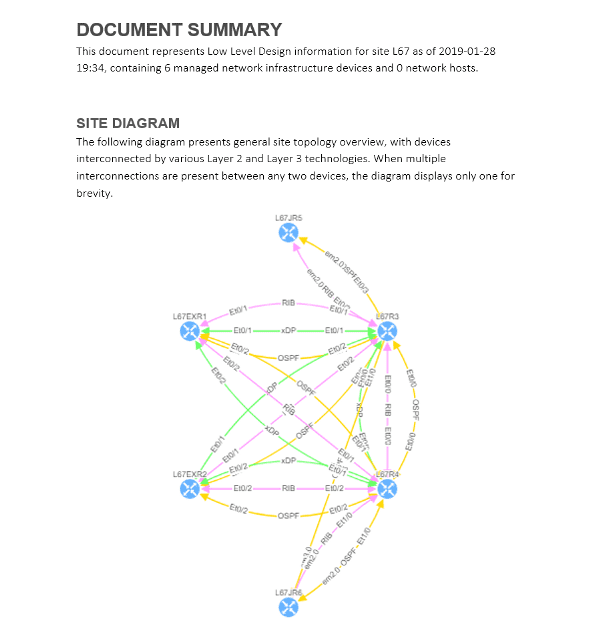 Once the process is finished, you can access a report in one click that will give you all the information you need for a network low level design, including network diagrams, device inventory details, physical layer, data-link layer details, routing and switching details and more. 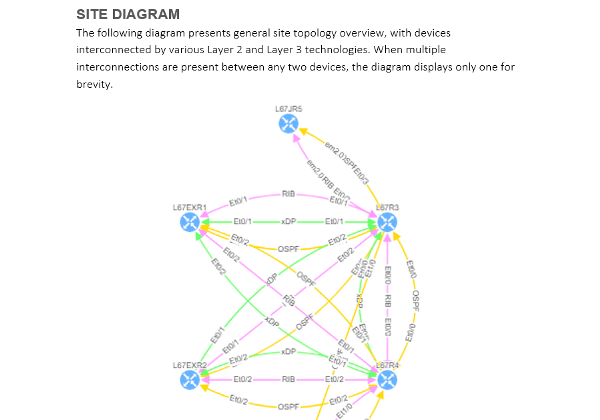 Download a free example of network low level design generated by IP Fabric.